Kratom is a herbal plant. Its botanical name is Mitragyna Speciosa. It has its native from Thailand, Indonesia, Papua New Guinea, Borneo and Bali, Myanmar and Malaysia. Kratom is known for its healing purpose and is distributed over 40 different compounds. We provide powdered Kratom compound and that can be consumed in several ways. 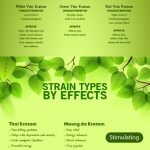 Since Kratom is available in different forms, it can be consumed in many ways. Use Kratom Tea Bags and drink it hot. Toss and Wash - Just toss Kratom into the back of your throat and pour water chasing it. Each and every Kratom possess different potential compared to the other. As there are many types of Kratom and their names are available, there are only three strains of Kratom are available. You have to choose the Kratom dose, depending on the effects that you are required to experience which would become one of your favorite. We do not provide any shipping services to the state that has banned the sale of Kratom over there. Once you have successfully placed the order with us, it might take around 4-7 business days for your order to be processed. After processing your order, it will be shipped to your address. Upon confirmation, you will receive a tracking number. Your order will be delivered within 7-8 days. Will Any Organisms Like Salmonella Present In Your Kratom? No. Every Kratom powder will be monitored and undergoes through a quality checking process. If any Kratom that does not satisfy our cleanliness level, then we do not use them. We do offer the Salmonella test in our Kratom. Will Every Kratom Products Undergo Lab Testing? Yes, every Kratom strains that you buy from us will be sold only after undergoing through a lab testing. Kay Botanicals here will always take all the necessary measures to ensure the purest form of the product and best quality. We clearly state here that we ensure the absence of any heavy metals, chemicals, bacteria and pesticides in any of our Kratom leaf. Can I Make My Payment Using E-Check? Yes, we do accept E-Check for paying your order. Your order of Kratom will not be shipped until the check gets cleared.